The technological advancements of modern medicine allow for dental professionals to provide more options than ever before. Dentistry can now offer patients more customizable options for cosmetic work on the size, shape and color of teeth. Additionally, dentists can now offer patients the chance to continue enhancing specific features on the face such as removing wrinkles and highlighting cheekbones. Is Juvéderm® Right for You? Anyone who is interested in cosmetic dentistry or a smile makeover will be excited to hear that there are more options and customizations to choose when enhancing one's appearance. As we age, the teeth will begin to yellow and fade along with the appearance of the smile beginning to sag. When this happens, people feel powerless in changing or stopping this natural occurrence altogether. Fortunately, we have the solution with Juvéderm®. We can use Juvéderm® in conjunction with Botox® treatments, if necessary. Patients will be able to have the dream smile they want without intensive procedures or surgery. Below are a few questions that we hear on a regular basis about Juvéderm® and the treatment process. If your question is not on this page, give us a call at (973) 343-0600 and we will be happy to answer any other questions. Juvéderm® consists of hyaluronic acid fillers that can add volume to different areas of the face without the need for surgery. With the appearance of a clear gel, Juvéderm® requires a medical professional to administer it into specific areas of the face. With Juvéderm®, we can help highlight and enhance specific areas of one's face as part of a cosmetic dental treatment. Patients are able to go over possible options and describe what they want for the procedure. We will have all the necessary resources available and be free to go over any other factors the patient needs to know. Juvéderm® is a component that we will inject into certain areas of the face with a thin needle. The procedure will not take long and is not painful. We will place specific amounts of Juvéderm® into certain areas of the face to enhance the patient's appearance. Juvéderm® helps to create a more uplifted appearance in the face. From there, the patient will take several days to see the positive change in appearance. Patients do not need to worry about an adverse reaction to Juvéderm® since we will take in the patient's medical history and any forms of allergy before going through with the procedure. The price of the Juvéderm® treatment will vary on the individual's insurance coverage and the type of Juvéderm® procedure the patient chooses. We will be happy to go over the possible price range and insurance coverage with you during a consultation. At this time, we will also determine if there are any other key factors that may alter the Juvéderm® process. Can I use Juvéderm® at home without professional medical assistance? No. It is not safe for someone to use Juvéderm® without a medical professional who has the proper training to administer Juvéderm® without adverse side effects. A medical professional can also ensure that the process goes smoothly and does not harm the patient. Without the necessary medical training and knowledge, an individual can cause more issues for his or her health. Will the Juvéderm® process be painful? The procedure itself will not hurt in most cases. While it does require the use of a thin needle, there is a pain-reducing component known as lidocaine that can help relieve any pain one might feel during the procedure. We can also go over other pain relief options following the procedure. In some cases, patients may experience some soreness in the areas of the face following the procedure. However, the soreness will dissipate fairly quickly and we can recommend certain medications to help relieve any discomfort. The amount of time a Juvéderm® treatment session takes will depend on the individual, the amount of Juvéderm® we are using and the areas of the face we are treating. In many cases, the entire appointment will only take an hour and the patient can return to their daily routine immediately after. Patients will begin to see a difference after the procedure and continue to see improvement over the next several days. Allergan is a pharmaceutical company that produces branded drugs, while completing pharmaceutical research and development. 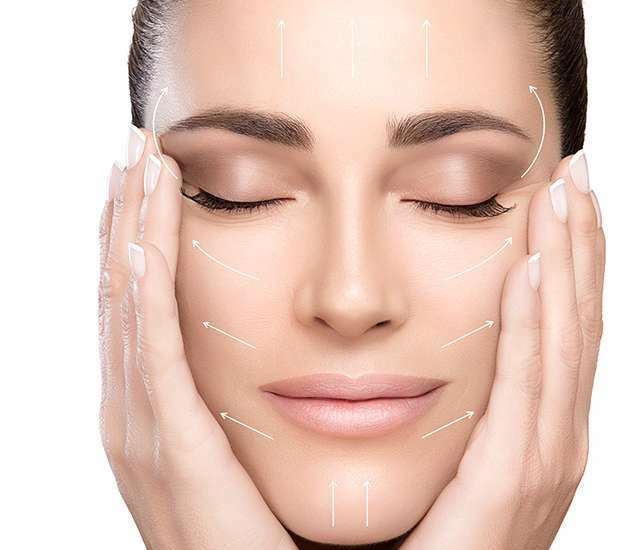 Dermal fillers are injectable filler that we can place into the facial skin tissue to help fill in wrinkles and provide a smoother appearance. An injectable filler is a type of dermal filler that dental professionals use to enhance the appearance of the mouth and face.